How does a cluster of Cambodian villages become something to tweet about? We asked Sandan Bird Book author Martin Leighfield. 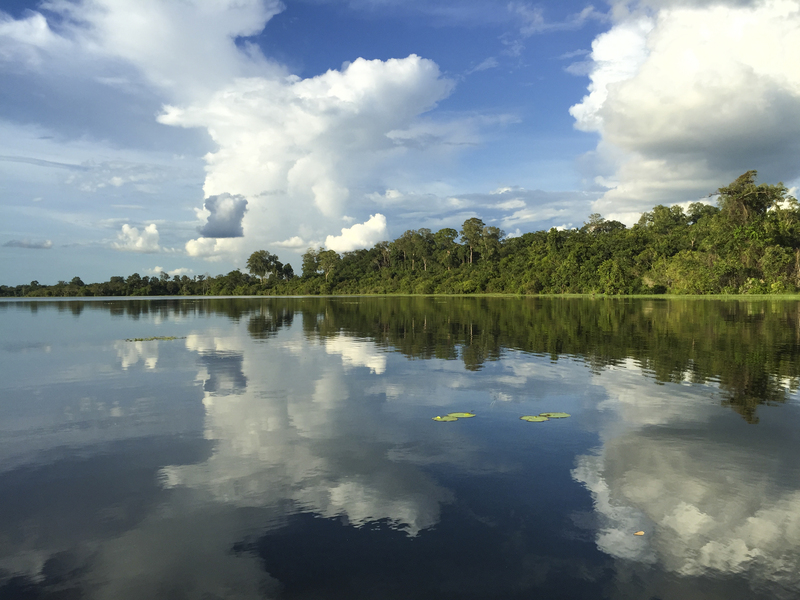 In Cambodia’s Sandan region, a small cluster of villages is becoming a flourishing ecotourism site, thanks to the Winrock-implemented USAID Supporting Forests and Biodiversity Project (SFB). With its friendly guides, good food and family accommodations, Sandan is already well-placed to become an important ecotourism destination. SFB’s new, easy-to-use guidebook, available for download here, will introduce visitors to the painted stork, large-tailed nightjar and more than 45 other birds species found in Sandan. We talked to Martin Leighfield, the book’s author, to find out more about the project. How did you become involved with the SFB project? I grew up in a small village in rural England, and spent most summer days in the surrounding fields and woods, getting to know the rich bird life. I studied zoology in the UK and mastered in animal nutrition. 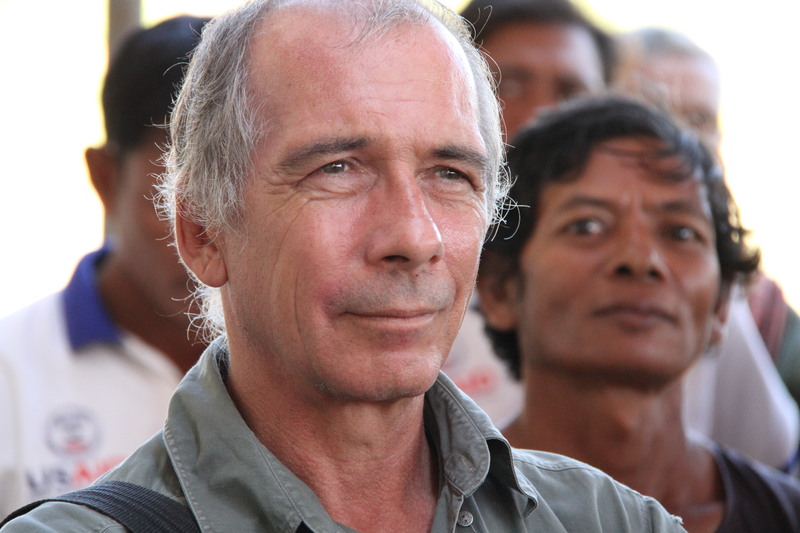 For many years an active traveler, I later took my skills to Cambodia as a volunteer. At that time, I learned about ecotourism and social enterprises. In 2016, I became involved with Winrock’s community-based ecotourism project in Sandan in central Cambodia. For those of us who don’t know, what is ecotourism? Ecotourism is an increasingly important sector in tourism that bridges the gap between guests and service providers. It shares the benefits of tourism equitably, especially with the poor or disadvantaged, and is a powerful tool to protect threatened environments. Ecotourism helps local communities value their natural resources for the sustainable income they provide. Visitors enjoy the Sandan ecotourism site. Tell us about this bird book project. How did you compile your research? How long did the process take? 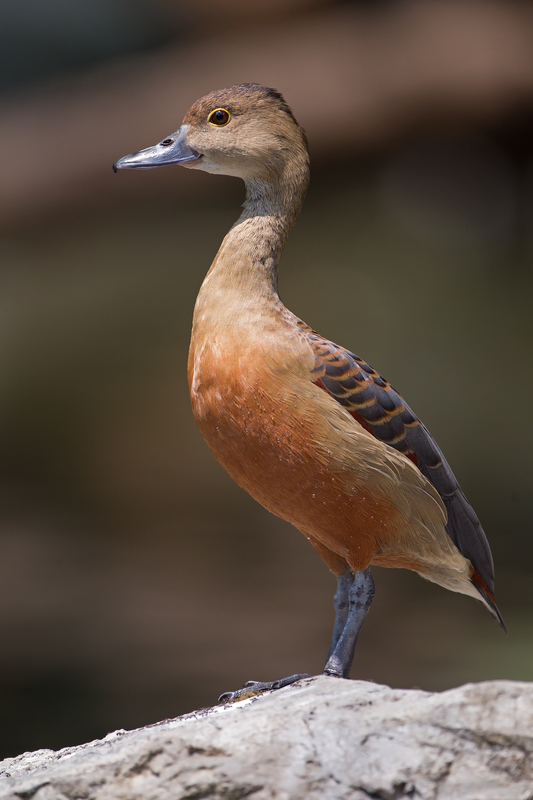 Sandan guides know their birds intimately, but speak little English. During a happy month in Sandan, I spent many days with the local guides in the forest and lake shore, learning about the local birds and expanding my Khmer vocabulary. At night, we ate food gathered from the forest and slept in hammocks. With local expert advice, I produced a guide to the birds of Sandan that allows visitors to identify and learn about species that are easily seen as well as those that are rarer and more vulnerable. Why is the Sandan region a good place for ecotourism? At first glance, Sandan is an unremarkable group of Cambodian villages. Closer inspection reveals it as a jewel of great potential. Villages hug the shore of a lake that is home to several important and dramatic species such as the woolly-necked stork and oriental darter. Winrock-founded community forest patrols actively protect the surrounding woodlands, home to the giant hornbill and many other species. To become self-sufficient the local community hopes to attract visitors to share the simple lifestyle and enjoy the wildlife. But with its friendly guides, accessible information, good food and family accommodations, Sandan is already well-placed to become an important ecotourism destination. And the income it earns from this will enhance its independence and strengthen its commitment to the environment. 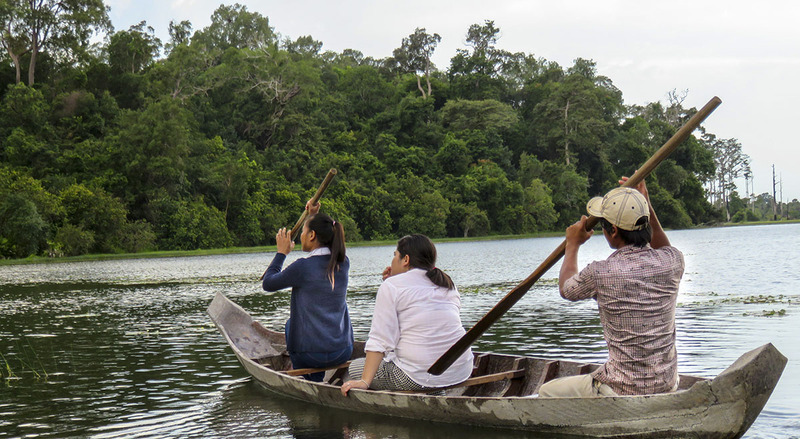 The Sandan ecotourism site is just one way that USAID SFB empowers forest communities to become champions for sustainable forest management practices that benefit people and the planet.